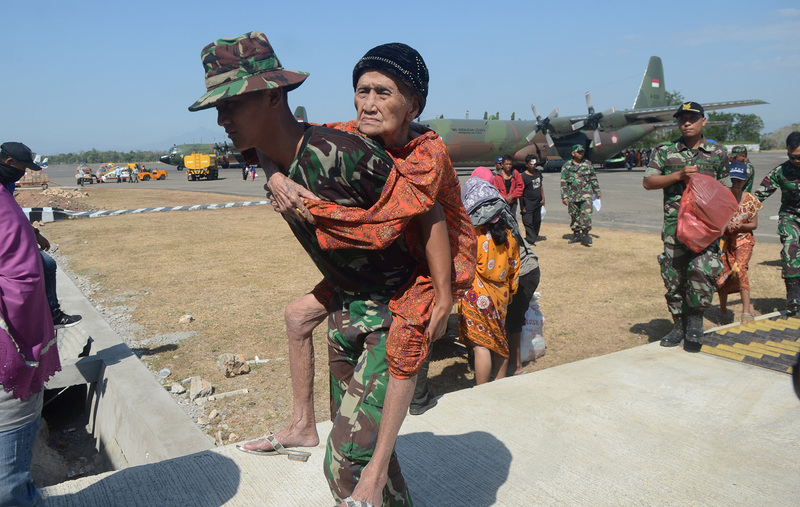 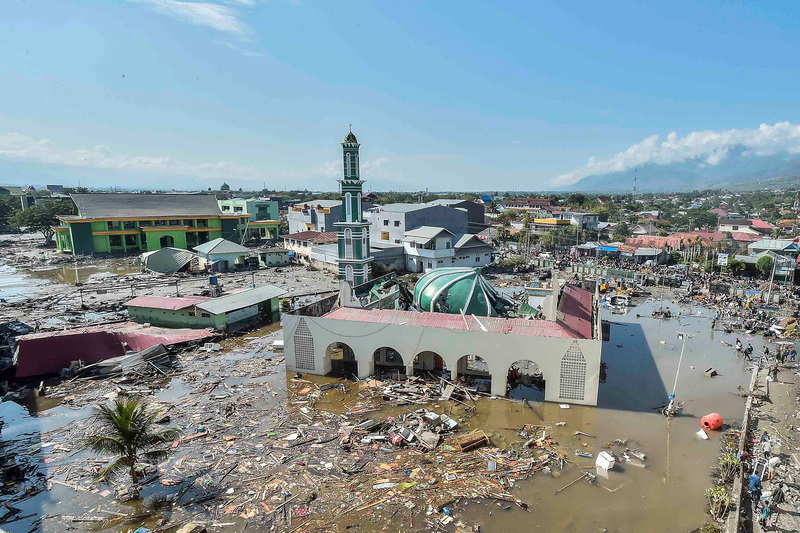 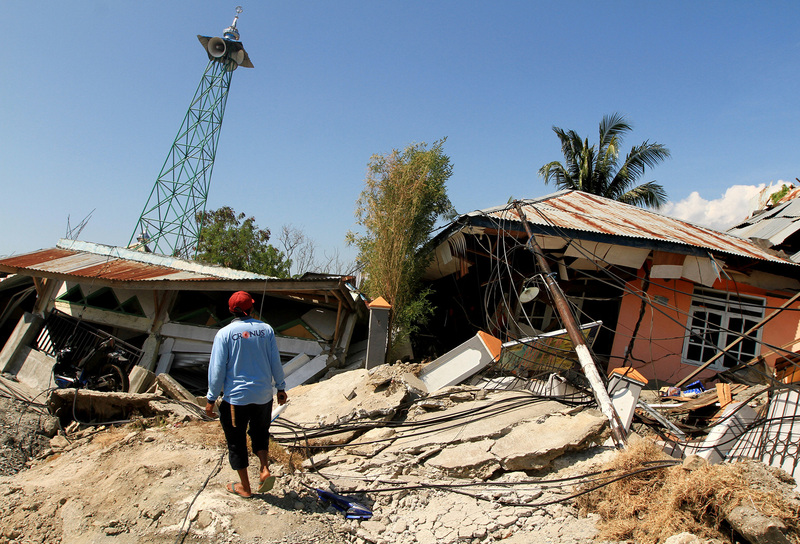 JAKARTA, Indonesia — Catholic aid agencies were among those working to assess the needs and get relief to the island of Sulawesi after an earthquake and tsunami left more than 800 people dead. 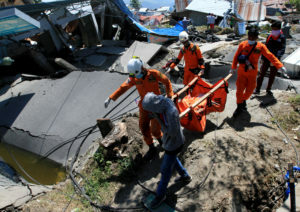 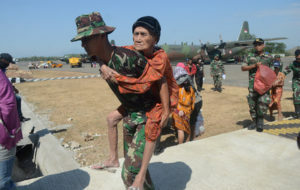 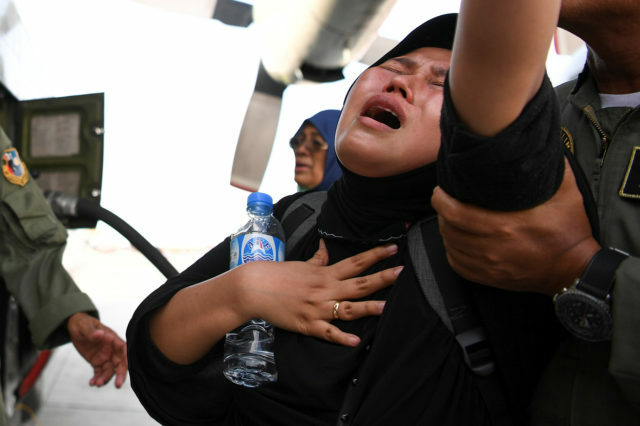 Indonesia’s disaster agency said Oct. 1 the death toll from the magnitude 7.5 earthquake and tsunami was more than 840, and nearly 50,000 people had been displaced by the disaster. 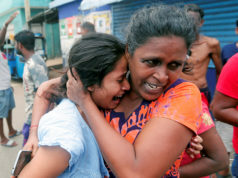 The death toll was expected to rise as rescuers pulled bodies from the rubble. 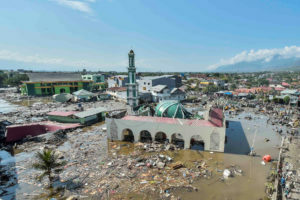 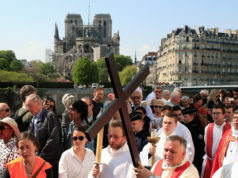 Father Joy Derry Clement, chairman of the Socio-Economic Commission of Manado Diocese in North Sulawesi, told ucanews.com some parishes in the area have been heavily hit, and at least two churches in Palu were partially destroyed. 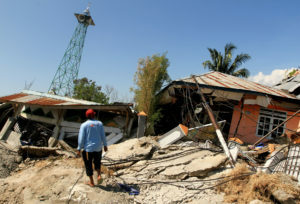 Editors: The ucanews.com story on the disaster can be found at www.ucanews.com/news/death-toll-from-indonesia-tsunami-above-800-churches-hit/83496.